It won’t be too long now before its time to tackle the dreaded Christmas lights. Like the writer of this blog, you may well have ignored all reasoning last year and decided, yet again, to take the bundling together storage approach. It would have been so much easier in the long run to have stored them away carefully, in their original box, taking care not to bang the bulbs together. The bundling and stuffing approach is a sure fire way of you developing Christmas tree light problems again this year. If, as with years gone by, you decided to take the bundling and stuffing approach rather than storing them carefully, then the chances are, just like many thousands of people in similar circumstances, your lights will have developed a fault. It doesn’t take much. A loose bulb, a broken socket or a frayed wire is sometimes all it takes for the lights to come to grief and malfunction. David Black of DB Fire Safety Ltd recommends that it’s so much easier to check your Christmas tree lights before they are decorating the tree. First of all, take some time to untangle the lights but remember not to pull the wire. A tried and tested method of detangling is to take hold of the plug and work it through the wires without letting go. Now, we have the ‘hold your breath’ time and plug the lights in. Eureka!! Not a Eureka moment, eh? There are a couple of simple steps to take. First of all check the fuse. It’s easy to do. Just locate the fuse by opening up the plug with a small screwdriver. Replace the fuse with a replacement fuse which will have been supplied with the Christmas tree lights. Ensure the fuse is of the correct amp for the lights you are using. Plug in the lights – still not working?? Don’t despair, there is something else you can do. More often than not, the problem is a burnt out bulb. Christmas tree lights have a specific wiring system. Sometimes, when just one bulb is not working then this will affect the whole set. Locate and replace the bulb and, hopefully, your Christmas tree lights will be working perfectly. 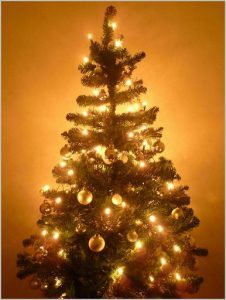 David Black of DB Fire Safety – www.dbfiresafety.co.uk – recommends you test your Christmas tree lights now in good time before you decorate the star of the show – the Christmas tree. Bonfire Night, will soon be upon us and celebrated in the customary style of firework displays and lighting bonfires together with the burning of Guy Fawkes ‘effigies. An age-old tradition is for children to display their guys made from old clothes and sacking and to ask “A penny for the guy”. 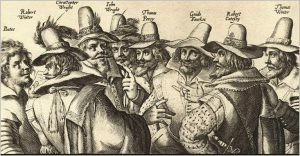 Guy Fawkes’ planned to kill King James I and to restore a Catholic monarch to the throne. On the 5th November 1605, he was caught in the cellars of the Houses of Parliament along with several dozen barrels of gunpowder. He and his co-conspirators were tried as traitors for plotting against the Government. Guy Fawkes was tried by Judge Popham and was sentenced to death by being hung, drawn and quartered. This form of execution is unimaginable in this day and age but reflected the serious nature of the crime of treason. Interesting fact to note is that until 1959, it was illegal not to celebrate Bonfire Night in the UK!! If you are planning Bonfire Night celebrations with the lighting of a bonfire and setting off fireworks, David of DB Fire Safety would like to offer some advice to help keep you and your family safe. Care must be taken when letting off fireworks. It’s probably best to assign just a couple of people who will take on this responsibility. It goes without saying that it’s not a good idea to smoke near where the fireworks are being stored or handled. All fireworks should be contained in a secure box (well away from the bonfire) until they are ready to be used. Another good idea is to have a bucket of water or sand, or even a Fire Blanket, close at hand. Prior to the event, it’s advisable to read the instructions written on each of the fireworks and re-read them once again just before setting them off – probably a good idea is to have a torch handy. Make sure that the wind and the angle of the fireworks is away from spectators. If your celebration is an organised event, then a device called a Portfire is advised to be used to light each display. These are ideal for lighting fireworks quickly and safely, they burn with a small flame and light a firework fuse without fuss whatever the weather. Never use matches or lighters for lighting fireworks at a display. If the weather turns windy, it’s advised that the event is cancelled. Whether a family event or an organised event, if a firework fails to go off do not be tempted to go back because it could be still live and explode in your face. Leave at least half an hour before you return to the firework. At no time should you consider lighting the bonfire with flammable liquids such as paraffin or petrol. Before lighting the bonfire, check to make sure that there are no animals such as hedgehogs inside; and don’t burn dangerous items such as aerosols, paint tins or foam-filled furniture. 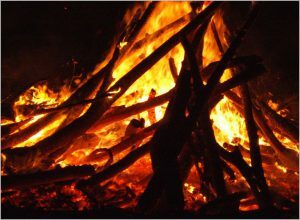 At the end of the event, ensure the bonfire is extinguished before leaving the venue – or retiring to bed. FINALLY….please don’t forget your pets – make sure that they are tucked up safe and sound indoors throughout the entirety of the event. DB Fire Safety would like to take this opportunity of wishing you and your family a safe and enjoyable Bonfire Night. It’s that time of the year again, when on 31st October we will be celebrating Halloween. This is the night when ghosts, witches and fairies are out there making their presence felt and spooking us. 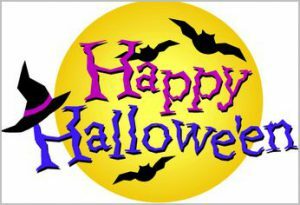 Halloween is a time of celebration and also superstition and it’s thought to have originated from the Celtic festival of Samhain. During the festival of Samhain, people would light bonfires and wear animal costumes to ward off ghosts and ghouls. Banquet tables would be laden with food to placate the spirit world. Sadly, Halloween is also the time of year when many adults and children are injured. DB Fire Safety would like to offer you some advice to help you reduce any fire risk this Halloween. First of all be very careful when choosing your Halloween costume, more especially the material and design. Check the label carefully and only choose a fire resistant material. 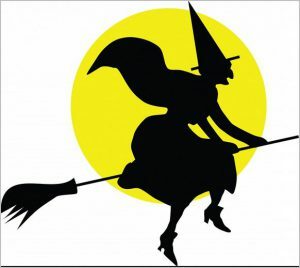 Avoid witches’ costumes which have a train. Not only can a train cause you to trip, it can also come into contact with a candle or open fire and catch light. A DIY costume made from black bin liners will capture the mood of Halloween but, they are not fire resistant and could easily go up in flames. When out trick or treating, it’s much better to take a torch rather than a lighted candle. Glowsticks are another safe option. Now what do we do about lighting the star of the show – The Pumpkin. DB Fire Safety would advise not to use a candle but instead spooky effects can easily be created by using a torch or even a battery candle. Take care not to block any exits just in case there is a fire and have an evacuation plan. If clothes do catch fire, then the tried and tested method of “Stop, Drop & Roll” continues to be effective. The Great Fire of London changed the London landscape forever. It caused huge destruction but led to the creation of the city we are familiar with today. Although over three centuries have passed, comparethemarket.com has found that the people in 1666 facing the fire were more similar to us than you might think. 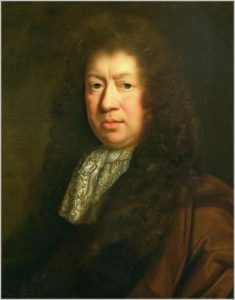 Samuel Pepys, the renowned diarist who wrote vividly about the fire, recorded people making sure their families were safe, and carrying their goods and documents out of the city. Pepys himself made sure to save his precious diary as well as burying his parmesan cheese and wine. Even though there have been huge changes to our way of life since 1666, it seems that we continue to find the same things important. comparethemarket.com’s research found that after our family members and pets, the next things we save are our important documents. One in ten people said that important documents would be the first things they would grab! 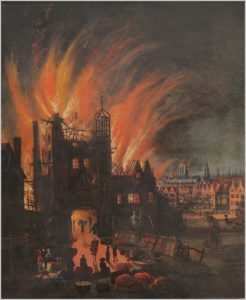 The Great Fire also led to the birth of the modern day insurance industry. As Londoners rebuilt their city, they realised that sharing the losses from future fires would be a good idea. Dr. Nicholas Barbon and his associates pioneered an early version of insurance against fires that’s developed into the insurance industry in which comparethemarket.com operates today. Have we learned the lessons our forebears learnt in the 17th century? Worryingly, no we have not. comparethemarket.com found that only 38% of Britons admit that they wouldn’t know what to do in the event of fire, flood or storm. With this in mind, comparethemarket.com has commissioned a Safety Hub which has been designed to give guidance to people on what to do should they experience a fire, flood or storm. Visitors to the site can find information in respect of how to minimise their impact There are also helpful things comparethemarket.com can do to make sure your life gets back to normal as soon as possible. This content complements a special animated video that shows how, after being all but destroyed in the Great Fire, London was nevertheless able to rebuild itself. This takes the story from 1666 all the way to the present day, marking key moments in the city’s development into the business powerhouse it is today. comparethemarket.com provides customers with an easy way to make the right choice on a wide range of products including motor, home, life, travel and pet insurance as well as utilities and money products such as credit cards and loans. comparethemarket.com actively works with its brand partners to help provide great services to their customers. 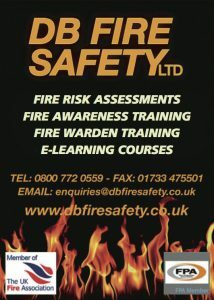 Just like comparethemarket.com, DB Fire Safety Ltd operates from Peterborough. DB Fire Safety Ltd offers fire risk assessments, fire awareness training, fire marshall training, fire strategies and fire safety consultancy. David Black, of DB Fire Safety Limited, is urging people with open fires to arrange for a clean sweep now that Autumn is upon us. Chimney fires accounted for more than 5,000 chimney fires across England during 2014/15, Wood burners or an open fire are a very nice way to keep warm in the winter months but without proper maintenance they can become a fire hazard. These fires could have been prevented and this is the reason why DB Fire Safety is anxious to urge people to get their chimneys swept by a registered sweep to prevent chimney damage or fire. All chimneys and flues should be cleaned and checked to ensure that they are free from debris and are in good working order before the winter months set in. A blocked or defective chimney can cause chimney fires and, in some cases, carbon monoxide poisoning. 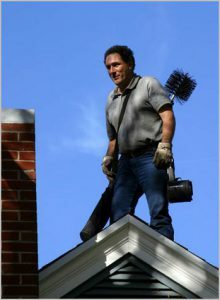 DB Fire Safety Limited strongly advise that it is essential to employ a professional and a qualified chimney sweep to carry out this work. If you want to be safe from fire, then it’s time for a clean sweep. DB Fire Safety advises businesses such as residential care homes, hairdressers, cafes, bars and restaurants that when using tumble driers on their premises to follow safety advice. If not, then they could be at serious risk from fires. Filters should be cleaned after each load to remove fluff, lint and any debris. No tumble dryer appliance should ever be left running unattended or overnight. The BBC continues to report that there continues to be an on-going tumble dryer fire risk problem with the international company – Whirlpool. Whirlpool owns Hotpoint, Indesit and Creda. In November last year, Whirlpool notified customers of a tumble dryer safety deficit. Approximately 5 million Whirlpool tumble dryers have been sold in the UK. In some cases, the fire is caused by a build-up of excess fluff which comes into contact with the dryer’s heating element and then catches fire. The company is activating what they have termed “an extensive consumer outreach and service action plan in order to provide our consumers with products that are updated to higher safety and quality standards”. A visit will be arranged for an engineer, free of charge, to modify your appliance. The service call will take approximately one hour. DB Fire Safety’s provides businesses and organisations with comprehensive fire safety support; specialising in the provision of fire risk assessments and training staff in fire safety awareness. 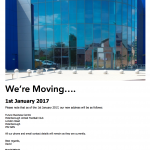 DB Fire Safety Ltd are involved in carrying out the fire risk assessment on a multi-storey building in Peterborough that’s recently been converted from offices into flats. by the Building Regulations 2010. This legislation requires that landlords carry out fire risk assessments in all common areas of properties which will identify any fire hazards and who could be potentially at risk. Blocks of flats differ from other residential dwellings in respect of fire risk assessments. Because there are more people living in a block of flats, they will experience more fires than people living in houses. However, a fire in a block of flats is no more dangerous than in a house. High rise, therefore, does not mean high risk. measures to protect people when fire occurs. age, not the type of dwelling in which people live. • All dwellings should have working smoke alarms. fire deaths occur in the flat in which fire starts. the integrity of this compartment, particularly when building work and alterations take place. • It is important to ensure that fires cannot start in the common parts or common facilities. has the potential for a higher risk to people should a fire break out. those living in blocks of flats. assistance of the fire and rescue service5. ultimate safety relies on using the common parts. 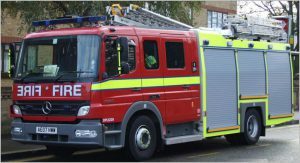 of flats will not normally require a communal fire alarm system. is provided, it must be possible to manage it. inadequate in the absence of evidence to that effect. satisfactory standard of compartmentation in order to maintain the original ‘stay put’ policy. will only be appropriate if the cost and effort of adopting them is proportionate to the risk. Front doors to flats need to be fire-resisting and self-closing. • Corridors leading to stairways need to be enclosed in fire-resisting construction. ‘dead ends’ needs to be limited. need to be fitted with fire-resisting doors that are self-closing or kept locked shut. means such as openable windows and vents). openings or automatically opening vents for clearing smoke. 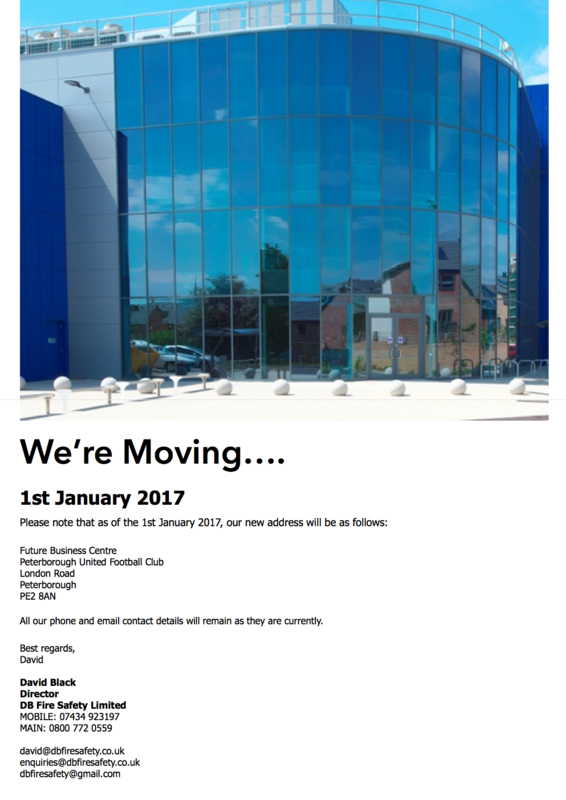 David Black, the Managing Director of DB Fire Safety Ltd has been involved with this project from its outset, and says that now the building is ready for occupation.